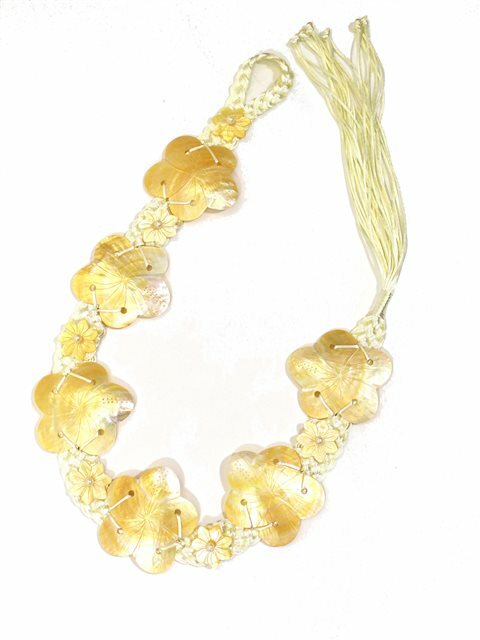 This Tahitian Shell Belt is a decorative costume ornament which can be used with the skirt fringe in Tahitian performances. The belt can be resized by adding or removing shell pieces from the rope. The belt comes with 12 shell ornaments.